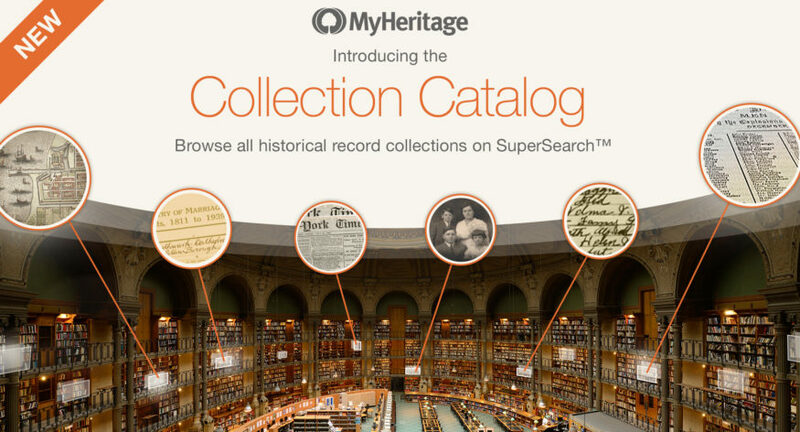 MyHeritage has just announced the launch of the MyHeritage Collection Catalog, a new section on the MyHeritage.com website that lists the historical record collections indexed and available on MyHeritage SuperSearch™. The catalog is useful for beginners as well as professional users, as it details the number of records each collection contains, which collections are new, and the date in which each collection was added or last updated. It is available online and includes many useful functions. I know that I will be using it frequently when looking for specific records. The new Collection Catalog provides a useful listing of the collections on SuperSearch and is a gateway to the vast historical treasure trove of 7.8 billion records currently offered by MyHeritage. You can learn more about the MyHeritage Collection Catalog in the MyHeritage Blog at https://blog.myheritage.com/2017/05/new-collection.